There are many ways to collect coins, such as, complete sets of Indian and Lincoln Cents, Barber Dimes, Quarters and Halves, Buffalo Nickels, Mercury Dimes, Washington Quarters, Walking Liberty Halves, and of course highly favored Silver Dollars. Some of these sets are quite difficult to complete because of the extreme rarity of one or two coins, for example, the 1894 S Barber Dime. How you choose to put together a set may be based on your profound preference for history, design, denomination, dates or any number of desires. For that matter, it may be simply a strong aspiration for profits. 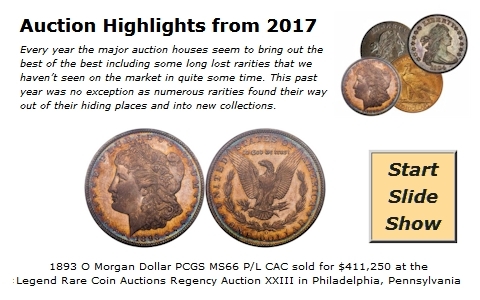 An area that many dealers believe is overlooked by most collectors is the Seated Half Dollar series, more specifically, the Philadelphia minted coins from 1879 through 1890. During those 12 years there were only 102,304 total business strikes minted. Obviously, throughout the years, many of these coins have been lost due to any number of reasons including melting, or just plain attrition. The last three years, 1888,’89, and ’90 were the highest minted dates with 12,833, 12,711, and 12,590, respectively. That totals 38,134 coins or 37% of the total mintage for the 12 years. In Good condition, all of these coins have an FMV of at least $240. Further, when we monitor these coins in auctions, many times they result in higher prices for the next FMV. The following chart shows each date with its original mintage. We have also included the number of coins certified by NGC and PCGS in grades Good 4 through AU58 and the number of coins certified in Mint State. The last column represents the highest grade certified by either service. As you can see the total number of coins certified is miniscule compared to many other series. There are just 771 circulated coins certified and 2,265 Mint State coins for a total of only 3,036 for all 12 dates. Keep in mind that some of these coins may be resubmissions so the total is likely much less. Granted, there are many coins that do not get certified for any number of reasons, but mostly because they have unsightly marks or poor surfaces, or in the case of Mint State coins they don’t have good eye appeal. There are only four dates certified with the MS68 grade with a total of just seven coins all together. In the MS67 grade there are exactly 100 certified with the 1879 having the most with 23 coins certified. What may be more interesting is that many of the AU coins will trade above the MS60 and MS61 FMV levels because there just are not that many of the lower Mint State coins around. The spreads are very tight from AU50 all the way to MS62. For example, the 1888 has an FMV of $650 in AU50 and $940 in MS62. Most dealers think this is a much undervalued area of numismatics but the main problem is that they cannot accumulate enough coins within this date range to make active markets. These coins sell very quickly in grades under MS60 but there seems to be a lack of interest for the MS60 to MS64 coins. In the last few years collectors have sought the MS65 and higher grades and especially those with the CAC sticker. This may be one of the best kept secrets in numismatics but you can bet that most dealers are well aware of the rarity of these twelve dates.